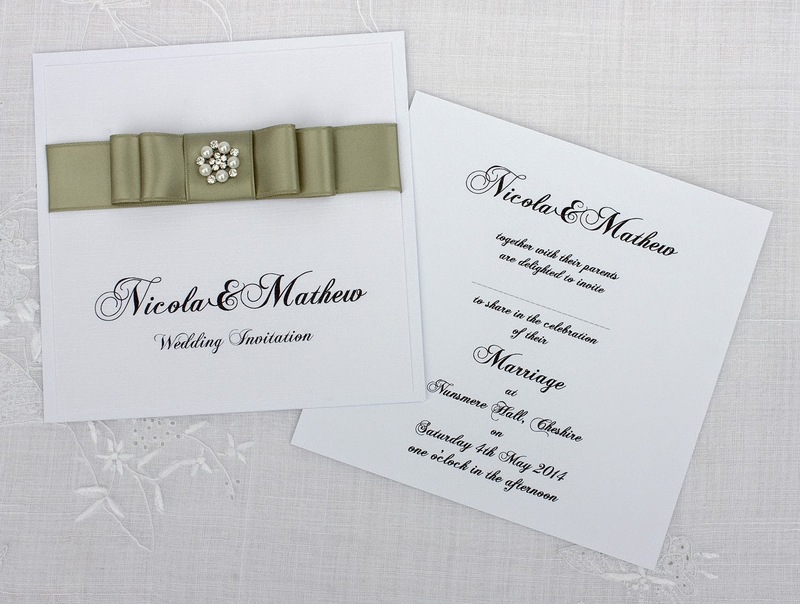 With the addition of satin ribbon and an embellishment cluster, this simple design is transformed into a very classically elegant invitation. The script writing for the bride and groom's names has been altered so that they are combined together using the ampersand. 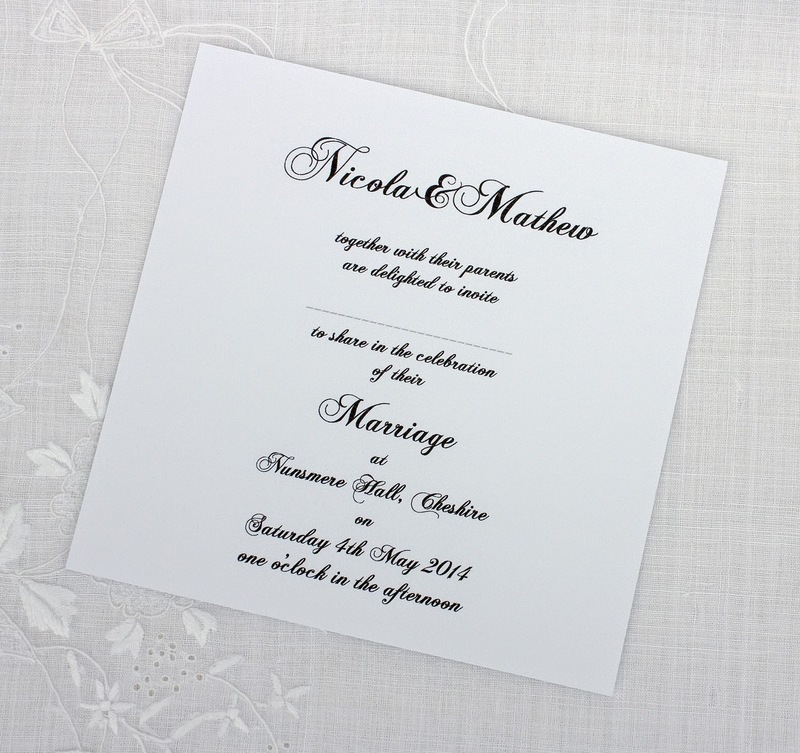 The card itself has been created using plain white card with the venue details printed on the reverse and linen effect white card layered to form the elegant front. 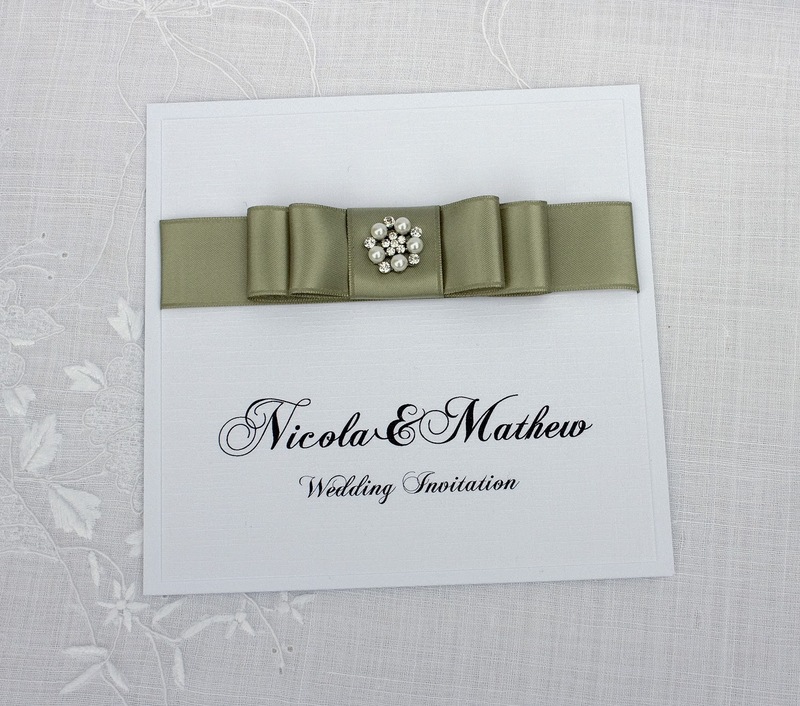 The colour of the satin ribbon and bow can easily be changed to suit any wedding day colour scheme.